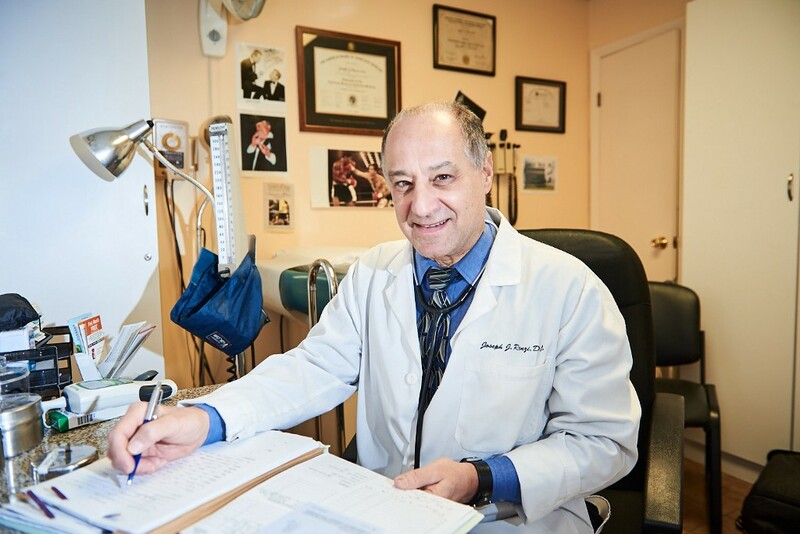 Dr. Joseph Renzi welcomes patients young and old — we are talking as young as 16 and as old as 101. No matter his or her age, he takes an interest in each and every patient. That caring approach has earned him the top doctor honor in this year’s Readers’ Choice voting. His office space at 1324 W. Ritner St. is part of the Jefferson Health system. His specialty is family medicine. Speaking of family, his provided the inspiration to join the medical field. His father was a physician while his uncle was a radiologist at Methodist. “Their experience and dedication inspired me to be the doctor I am today,” he said. It includes doing whatever he can to make sure his patients enjoy a healthy and active lifestyle. Renzi is born and raised in South Philly, attending Bishop Neumann High School. He currently resides in Packer Park. Now, his son, Christopher Renzi, is following in his footsteps. “I am overjoyed that my son has recently started at the practice,” Renzi said.